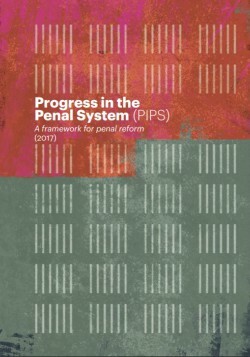 On 24 October, Alison Hannah, PRI’s Executive Director, spoke at the Irish Penal Reform Trust (IPRT)’s launch of its new project, Progress in the Penal System (PIPS). PIPS is a major three-year project monitoring human rights and best practice in Ireland’s prison system. It sets out 35 standards for the prison system, together with indicators and actions to monitor progress. Taking account of the Nelson Mandela Rules and the Bangkok Rules in the national context, the IPRT has set itself an innovative and ambitious project to benchmark Ireland’s progress towards an effective and humane penal system. Alison Hannah congratulated the IPRT on the comprehensive report, which sets out the purpose and policy goals of the project. It is a truly innovatory approach by Ireland’s leading NGO in the field of penal reform, and sets the bar high in measuring progress towards its goals. She spoke of the importance of standard-setting in penal reform and the role of the UN standards in particular in providing guidance for implementing good practice. The IPRT has enthusiastically set out its aims not only for humane treatment of prisoners but also an ambitious target for reducing the prison population further and developing alternatives to custody. With a current rate of imprisonment that is approximately half that of England and Wales, IPRT show their determination to continue campaigning for greater use of non-custodial sentences, a campaign that PRI wholeheartedly supports. Read PRI’s short guides to the Nelson Mandela Rules and the Bangkok Rules.